are so affordable that it is more economical to replace them than to sharpen them. 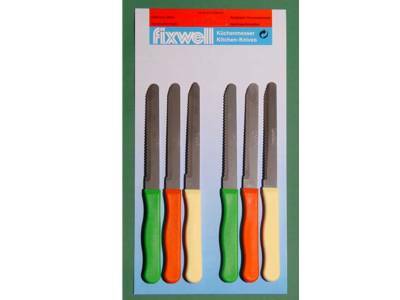 The high quality serrated blades on the Fixwell knives are ideal for many uses. 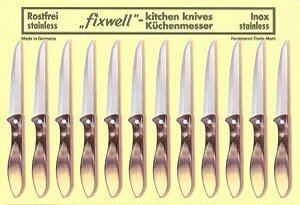 and pressure needed to use these outstanding all-purpose Fixwell knives. This product was added to our catalog on Monday 19 June, 2006.